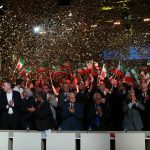 On Wednesday, March 20th, members of the MEK and the Iranian Resistance gathered in Tirana, Albania, to celebrate Nowruz, the Persian New Year, which begins on the March 21st at the moment of the vernal equinox. 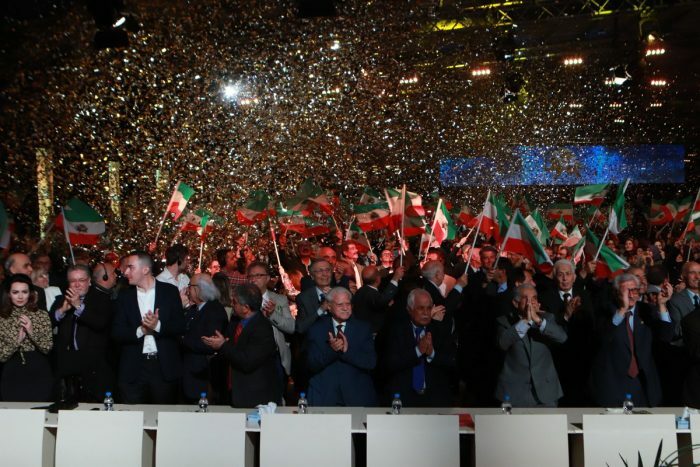 The celebration included speeches from the President-elect of the National Council of Resistance of Iran Maryam Rajavi, former Albanian Prime Minister Pandeli Majko, and Deputy Director of the Albanian Democratic Party Edmond Spaho, along with a fireworks display and entertainment. Maryam Rajavi’s speech highlighted the successes of the MEK and the Iranian opposition over the past year and the progress that has been made in leading the country toward freedom. She described the mullahs’ failed efforts to suppress the Iranian opposition and discredit the MEK, and she provided a roadmap for the upcoming year. “In these moments just after the turn of the year, we stand with Iran’s workers whose dinner tables are without food,” Mrs. Rajavi said. “We stand alongside our farmers whose farms are dry and without water. We stand with the honorable teachers of Iran who are discriminated against and humiliated, who are forced to live under the poverty line, and who are imprisoned for their legitimate protests. And we are in alliance with and fighting alongside the army of millions of unemployed youth and graduates whose numbers grow by the year,” she continued. Rajavi praised the MEK Resistance Units for their work in 1397, the previous Iranian calendar year. “1397 was the year of the expansion of Resistance Units when the strategy of 1,000 Ashrafs and the army of freedom shined brighter than ever in our occupied homeland. In 1397, the uprisings and protests shook the ground under the mullahs’ regime. Last year, the National Liberation Army culminated in 1,000 Ashrafs and Resistance Units, which sprouted in cities across the country. The policy of appeasement was defeated and the mullahs lost one of the main pillars propping up their rule,” she said. Mrs. Rajavi discussed Iran’s failing economy and described the measures the regime has taken to sell off the country’s resources in order to postpone its inevitable downfall. She emphasized the futility of these efforts. The people have already begun to rise up. “Moderation was put to death by the appointment of Ebrahim Raisi as Chief Justice. He is a hated mass murderer who ran against Rouhani in the regime’s presidential elections. Raisi’s appointment was a coup de grace to the elusive myth of moderation. This while Rouhani’s government is half-paralyzed as their showcase foreign minister keeps sitting at home every other day or resigns,” she said. Mrs. Rajavi pointed out that the problems in Iran go further than any specific crisis within the regime. “Now, the strategy and stances of the Iranian Resistance are echoed by the words and demands of workers, truckers, teachers, students, farmers and all protesters throughout the country: The overthrow of the clerical regime is the desire and demand of all the people of Iran. The problem is not whether this regime is engulfed in this or that crisis; the problem is that the mullahs’ rule is in crisis altogether. Yes, the crisis is the crisis of overthrow,” she said. Former Albanian Prime Minister Pandeli Majko followed Mrs. Rajavi’s speech with his own warm wishes for the new year, referring to Ashraf 3, the MEK’s headquarters in Tirana, as the Iranian embassy. “Everything that is coming is new and hope. Albania and Albanians have one of the best embassies for Iran. It is Ashraf. We are proud to have friends like you and Madame Rajavi. No doubt, she will lead the future of Iran. Happy New Year!” he said. Minister @PandeliMajko: "Happy 2b with U in the feast of #Nowruz"
Edmond Spaho, Deputy Director of the Albanian Democratic Party, also praised the Iranian Resistance in a speech and noted his support for expelling Iranian regime diplomats from Albania for their involvement in terrorist activities. “With your efforts and the struggles of the Iranian people, next year, God willing, we’ll celebrate New Year in Iran. The future belongs to the people of Iran. Without a doubt, Iran will be free and produce prosperity for its people and stability in the region,” Spaho said. “Despite the fact that my party is currently the opposition, we are unified to support you and we even support the actions of the government to expel Tehran’s diplomats who were involved in terrorist activities,” he added.